This is the product and the step that will bring damaged hair back to life. Composed of the finest ingredients and vitamins combined with natural keratin works to actively nourish, eliminate frizz, reduce volume, and revitalize all types of hair. Cocoa beans, from which chocolate is made, are rich in elements that hydrate, soften, relax, and nourish the hair. 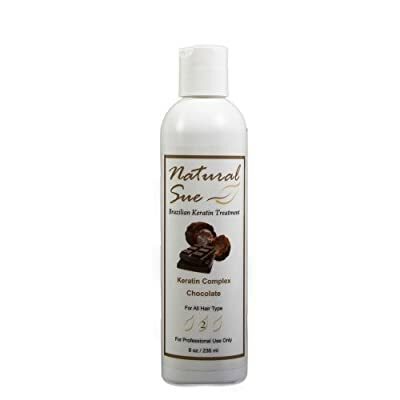 Natural Sue is a revolutionary hair care products that dramatically straightens, smoothens and treats the hair. Natural Sue intensive treatment remedy restores vitality by repairing the hair from the inside out. The proven results will provide hair with regained elasticity, flexibility, softness and a naturally vibrant shine. 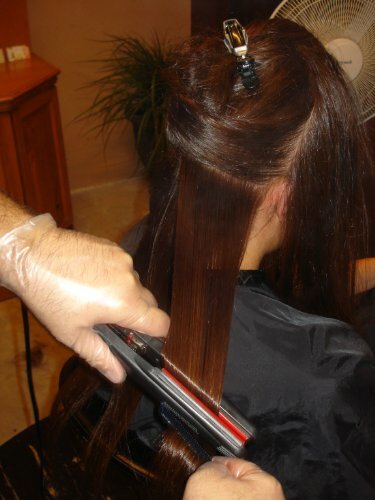 Natural Sue Brazilian Keratin Treatment is a technique used to gain silky straight hair at a reasonable price in a reasonable amount of time. Natural Sue - "Look Good!! Feel Great!!"